By using cPanel you can create, import, manage and remove SSH keys. These keys will be used when confirming a specific computer has the right to use SSH to connect to your website. 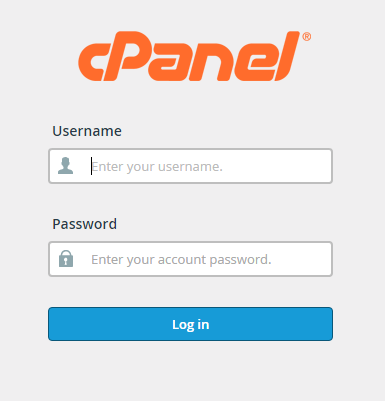 Step 2: To Manage SSH keys click on the SSH Shell Access in Security section of cPanel. Step 3: Click on Manage SSH keys. Step 4: To set up a new SSH key, click on Generate a New Key. Step 5: Please add the required password in the Key Password text box and click on Generate key. Step 6: Your SSH key is generated, click on Go Back. Step 7: The public key remains on the server while the private key is what you have to download and save to the computer you will be accessing your server from, but before that, you have to authorize the public keys so it works. Click Manage Authorization. Step 8: Click Authorize button and once the key has been authorized click on Go Back. 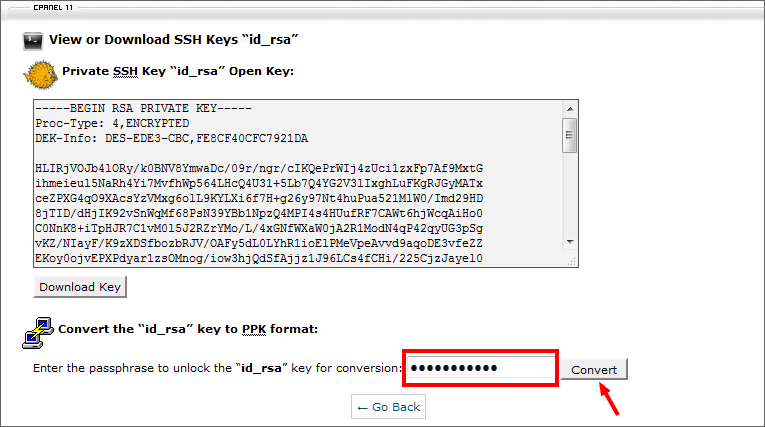 Step 9: Let’s view the Private key and convert the key into the PPK format by entering the password and clicking Convert. Step 10: Now you can download the key by clicking on Download Key. 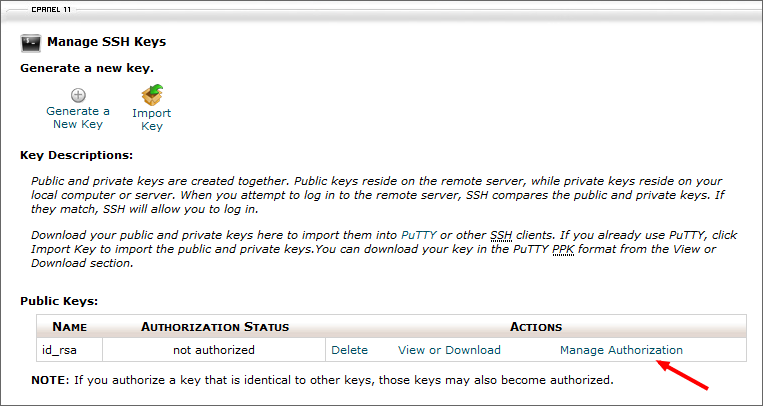 Step 11: The SSH key has been set up and it is ready to use to securely log into your server with SSH.